Dress your vehicle's floors up with some of the thickest, most luxurious floor mats available. Lloyd Luxe Floor Mats are made from plush 48-ounce nylon - for the record, that's three times the thickness of your stock mats - and are specially designed and treated to protect your factory carpets from damage. Lloyd Luxe Floor Mats are made not only for a plush look and feel; they're made tough, too. Luxe Lloyd Mats are Scotchgard-treated to resist stains and feature a layer of waterproof urethane to keep spills and mud from soaking through to your carpet. Their TractionBac backing keeps your Lloyd Luxe Floor Mats in place, and their fully custom designs ensure a perfect fit with your factory floor shape and carpet posts. Grommets and security hooks are also included for additional anchoring strength (not available on all vehicles). Your Lloyd Luxe Carpet Floor Mats are completely customizable. Choose from a wide variety of colors to match or complement your interior, then add optional automotive or lifestyle logos to show off some personality are available on select models. The possibilities for customization are nearly endless. 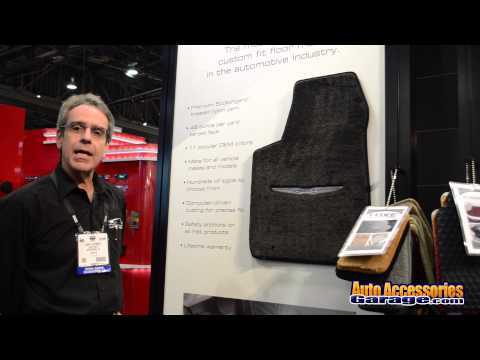 Give your ride the luxury touch with a set of Lloyd Mats Luxe Carpet Floor Mats. Backed by Lloyd Mats' Lifetime Warranty. Note: Due to variations in computer monitors, the colors you see here may not be the exact colors of the mats. If you have any questions about any Lloyd Floor Mat colors, give us a call and we will gladly assist you. Lloyd Luxe Carpet Floor Mats are fully custom-made to order. Embroidered mats can not be returned. Great looking, good quality and they fit perfectly! They look great, quality is outstanding, perfect fit, easily installed. All I need to do now is figure out how to keep the dirty feet off my new mats!!! Clear mats already on the way. Such an outstanding product. I'm very impressed with superb quality. I will highly recommend your product! I looked for quality carpets for my Cadillac and these are it. Beautifully made plush mats, fit perfectly! Uncertain of performance since I just installed them! The mats for the 1970 El Camino are too large, and gromet for bright lights is in the incorrect location. This is the 4th set of Lux mats that I have bought over the years from Auto Accessories Garage for my Cadillac's. I purchased all of them with the Cadillac logo on the 2 front mats. These mats are super quality and long lasting. If you are looking for the best mats available then look no further - there is none better than lux mats. As long as these mats are manufactured I will be buying them for future vehicle purchases. I've got to say, Lloyd must spend a lot of time figuring out how to make their mats more cheaply. This is the 5th set of mats that I have purchased. The last set I bought 10 years ago, and I must say, my old ones are a much better quality than these new ones. When you buy the Luxe mats, you expect them to be something really luxurious. They have a cheap look and feel to them. That said, they're cut perfectly and fit like a glove. I just think I may go with a different company from now on.